The 458th Transportation Company wasn’t supposed to be the U.S. Army’s river police force. The soldiers were truck drivers America, and didn’t know much about patrolling hostile waterways. But the Army thought better — and in a maddening and unusual story from the Vietnam War, transformed the truckers into waterborne police. From then on, these military cops dodged bullets in a kind of war they never expected. At the time, the Army simply didn’t have enough police to go around. Saigon’s civilian and military police were supposed to be the first line of defense against insurgents. But rampant corruption and a lack of resources often meant these security forces were ineffective or missing altogether. The year before, the Viet Cong had managed to sink the USNS Card — a World War II-era aircraft carrier used to haul airplanes and helicopters over long distances — in Saigon harbor. Saboteur Lam Son Nao had bribed local policemen before planting his explosives on the ship. The Pentagon decided that American personnel would be better off protecting their own, but had trouble finding the manpower. During the next two years, the Army sent extra military policemen to South Vietnam. But the Army and the Navy never seemed to have enough military police or shore patrol to go around. In October 1966, the unit arrived at Cam Ranh Bay from its home at Fort Story in Virginia to help haul supplies with a full compliment of LARC-V amphibious trucks. Troops spent their time schlepping cargo from ships to the shore at various sites along the coast. The Army used so many landing craft to move supplies around the country … it effectively had its own little navy. But less than a year after landing in South Vietnam, the 458th experienced a massive change. The Army gave the truckers half a dozen Boston Whaler boats. With these new watercraft — little more than a fiberglass hull with an outboard motor strapped on — the soldiers started guarding ships in Cam Ranh Bay and Na Trang Harbor. Soon afterwards, the LARC-Vs disappeared altogether. In their place, the company received 39 Mk-II Patrol Boat Rivers — a.k.a., PBRs — and another dozen Boston Whalers. Army commanders removed the company from the 24th Transportation Battalion and tacked it onto the 18th Military Police Brigade. Already in widespread use by the Navy, the PBRs were far more capable than the Boston Whalers. 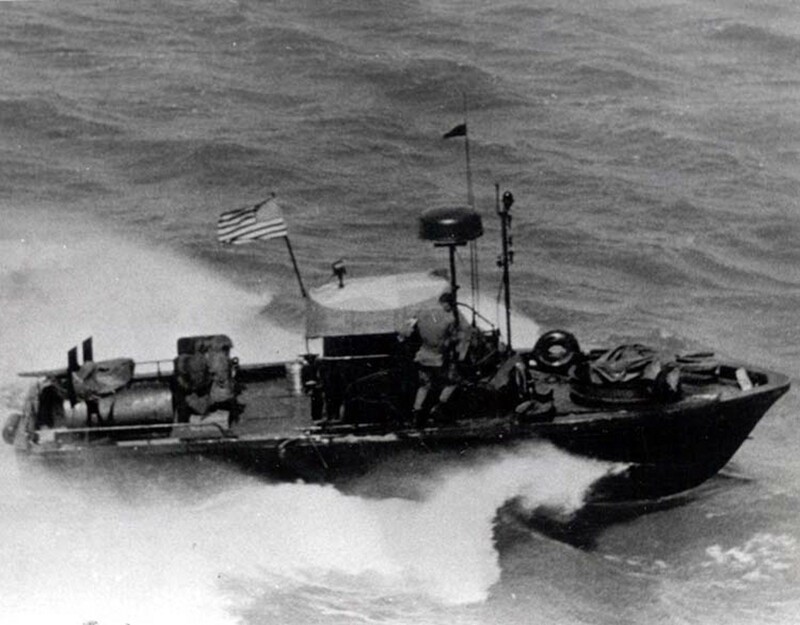 The purpose-built patrol craft had an open turret up front with two .50-caliber machine guns. That wasn’t all. The boats often had extra machine guns, automatic grenade launchers and special, breech-loading 60-millimeter mortars. Boston Whaler crews had to rely entirely on handheld M-16 rifles and other small arms. The Navy first trained the Army’s four-man PBR crews in South Vietnam. Replacement troops went through a stateside course run by the Army at the Naval Inshore Operations Training Center at Mare Island in California. The men checked sampans — wooden boats common to the region — for contraband, searched for enemy divers and swept for guerrillas along the shoreline on a daily basis. With no front lines, the river police often found themselves in the middle of serious firefights. But “all detachments considered swimmer/sappers the primary threat against which they operated,” according to a report on the unit’s activities. Sometimes the boats protected VIPs or performed other specialized missions, too. Unfortunately, as the only patrol boat cops in the entire Army, they faced serious challenges outside of combat. The soldiers relied on Navy equipment and often couldn’t get necessary supplies. Just keeping the boats running was a challenge. The 458th lacked mechanics with any experience working on boats, the official review stated. Crews often worked on their own boats without any specific training. The company’s troops were spread across several different locations, which didn’t help. Three years after the transition, the unit guarded three ports, as well as patrolling up and down rivers and canals from three more bases. On top of that, the waterborne cops provided 24-hour protection in all those areas. The 12-hour shifts could be grueling for the men and their vessels. In fact, the troops kept the Boston Whalers around specifically because of the wear and tear on the PBRs. When the larger craft were out of commission, soldiers needed an alternative … any alternative. But as the 458th reached the height of its operations, the Pentagon was steadily drawing down its involvement in Vietnam. After four years guarding the country’s waterways, the Army shut the unit down. The 18th Military Police Brigade used the manpower to create a country-wide customs unit and send reinforcements to another military police company … on solid ground. The Sea Tigers were no more. Today, the Army still maintains its own navy, of sorts. The unique 7th Transportation Brigade controls the service’s remaining watercraft — but there aren’t any waterborne cops. This article originally appeared on June 11, 2015.